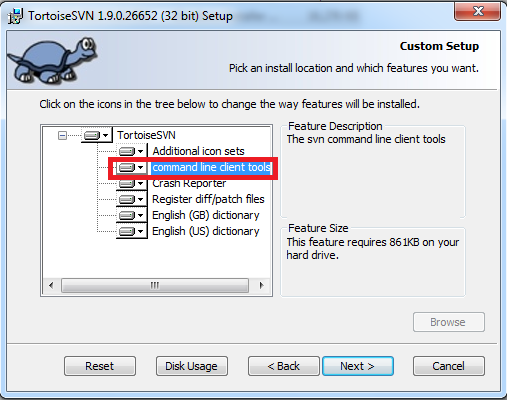 While installing Tortoise SVN, we should make sure that Command Line is selected. If it is not selected while installing we get SVN is not recognized as an internal command. In order to fix this, download the latest Tortoise SVN and install it. While installing make sure that Command Line check box is selected.